What to do when you want to make a dessert larger than you can eat, like a Double Chocolate Pavlova with Raspberry Cream? Make a small version or invite friends over. If I were to chose between sweet and savory, I would go for savory. 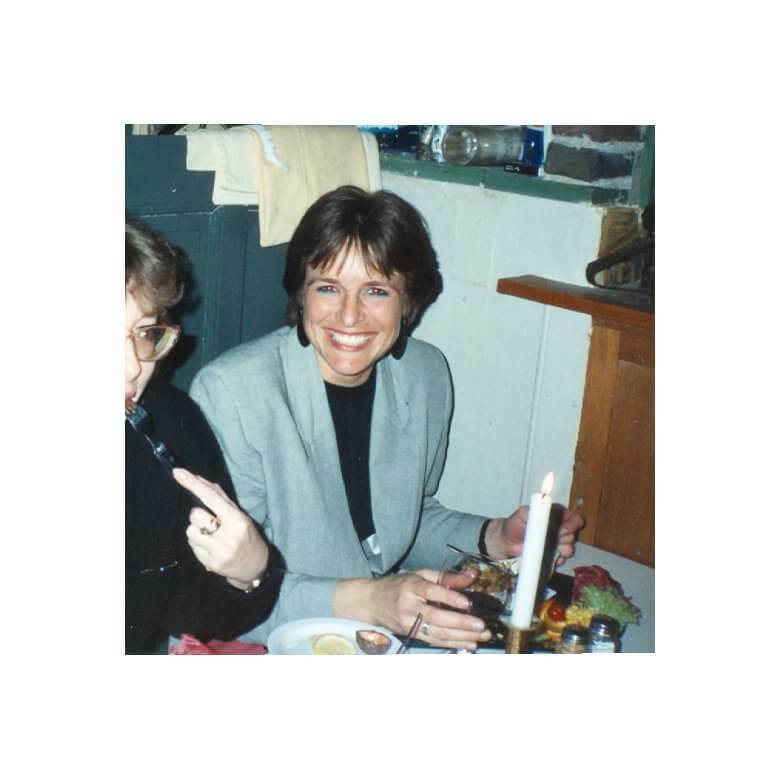 Whether it is a choice between chocolate truffle and potato chips or ice box sandwich or grilled cheese, sweet dessert platter or cheese plate and I can go on. 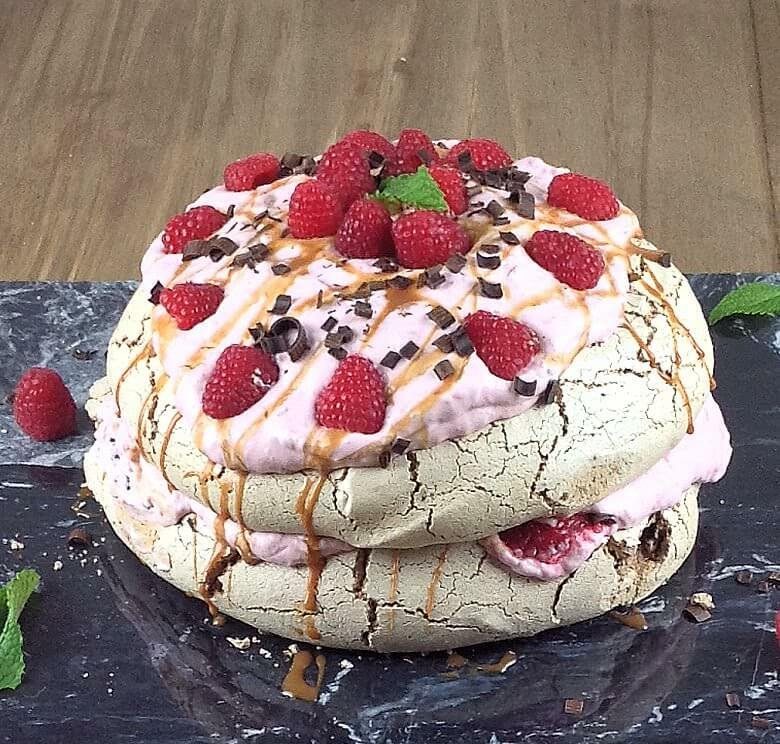 I’m not saying I don’t like sweet desserts, on the contrary, I love them, love making them, but eating them day after day is not my thing, especially the very sweet ones, like this Double Chocolate Pavlova with Raspberry Cream. I don’t know what it is with very sweet things, they seem to fill me up quicker, my taste buds seem to lose the interest in sweet things faster than savory things, so in order to save this Double Chocolate Pavlova from ending up in the trash I had to find alternative mouths, which was not really a problem. Some adaptations from a regular Pavlova; I used Raspberry Vincotto instead of regular vinegar and I did not include cornstarch; the center is still softer than the crunchy outside. The chopped chocolate allowed me to lower the amount of unsweetened cocoa powder and in the raspberry cream I used whipping cream and Mascarpone – pure decadence. Last but not least I used a goat’s milk caramel from Fat Toad Farm, to drizzle the top, simply because it is as good as a home-made. 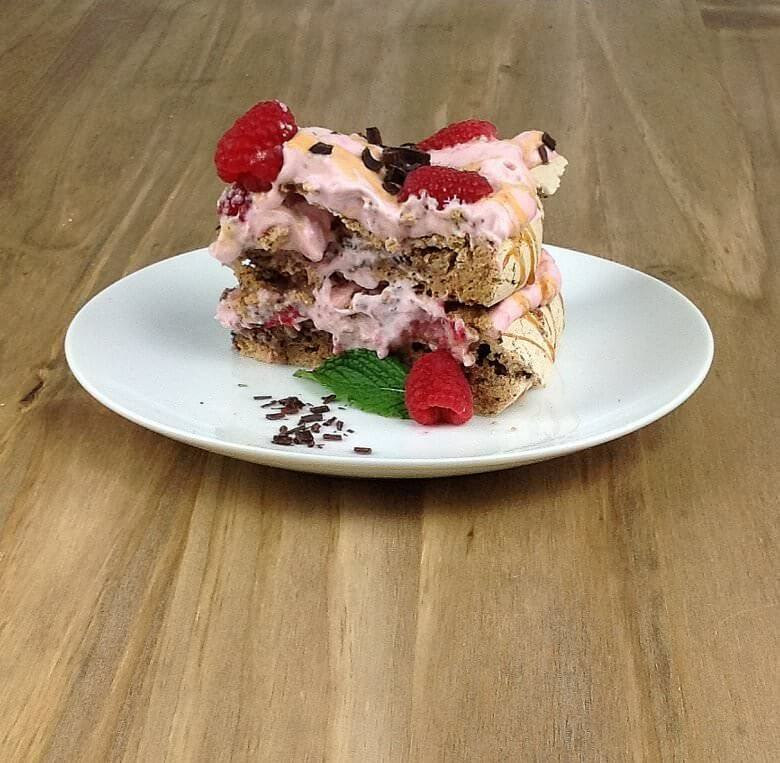 I know I will not win the grand dessert prize for this Double Chocolate Pavlova with Raspberry Cream, but I believe it looks nice – wait until it taste it. Crunchy and creamy. Preheat over to 300 degrees. Line a baking sheet with parchment paper. Draw 2 circles of each 7-inch diameter on the parchment paper with a pencil, then flip it over. Make the pavlova: Beat the egg white with a mixer until soft, shiny peaks form. Add both sugars, a little at a time until the pavlova is shiny and form stiff peaks. Add the cocoa powder, Vincotto and dark chocolate to the egg whites and fold with a spatula until thoroughly mixed in. Spread the pavlova into the circles and spread evenly. Try to stay within the lines as the pavlova with 'grow' during baking. Place the pavlova in the oven and bake until dry to the touch, about 1 hour. It is ready when dry on the top and just with a little give in the center. Allow to cool on a wire rack. Make the raspberry cream while to pavlova bakes: Mix whipping cream, raspberries, powdered sugar and Mascarpone cheese until almost stiff. Refrigerate. Assemble Double Pavlova: Spread half of raspberry cream on one pavlova, not all the way to the edges. Half a few raspberries and push into the cream, drizzle with caramel sauce and grate dark chocolate on top. 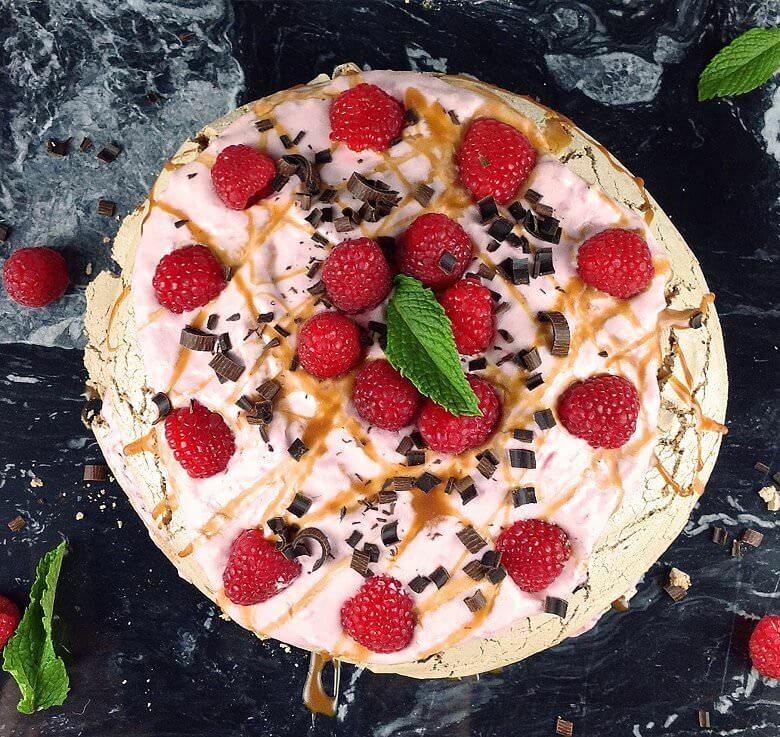 Place second pavlova onto raspberry cream and spread with remaining raspberry spread, place remaining raspberries into or onto cream, drizzle with caramel sauce and grate with dark chocolate. Top with mint.